Today’s tours have been insane. Jumping from one place to another, and it’s been fantastic. you can almost forget what happened here years ago, and it’s obvious they are not interested in visiting that history. Expect a sea of open cement, plenty of vendors, ubiquitous cameras and guards. I purchased gloves from a vendor because it’s colder here than I thought it would be, and we wandered the area a bit, checking out the memorials and sculptures. There is a museum along the periphery but we didn’t have time to check it out. Then it was time to move on. Be in the know: Ensure that if you are going to buy anything from street vendors that you are carrying small change. Also, if they walk up to you without a cart, get the item handed to you first, then pay. The last thing you want is to pay up for something and watch as they dash off with your money. 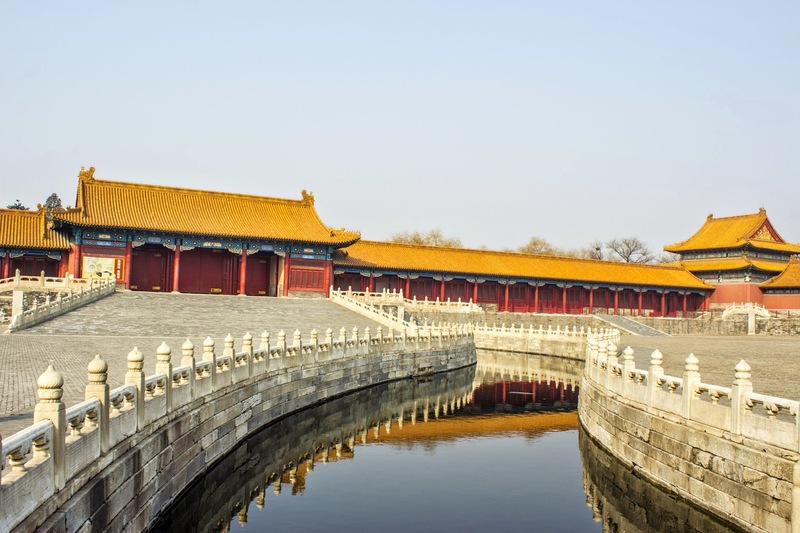 A walk through Tiananmen Square, then through the Tiananmen Gate and we are in the Forbidden City. Not really a city, but a city-sized, ancient living quarters for royalty from 1417 to 1911. 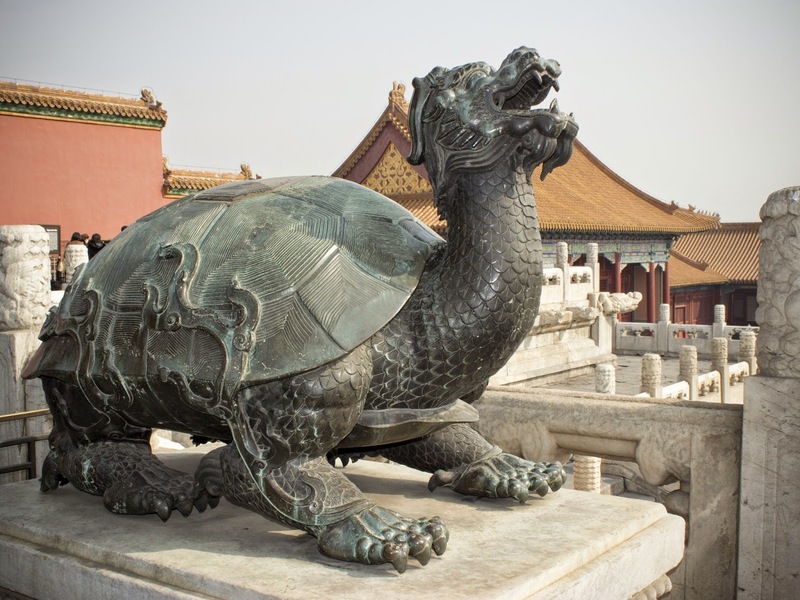 I would have genuinely liked more time to look through the Forbidden City, but I understand that Jim has to keep us moving. We have a lot to see in the next few days. But this is also a 700,000 square foot palace – I’m not sure anyone could see everything in one day, let alone a few hours. So many beautiful things to photograph here. The City is a series of open squares, surrounded by beautiful, artful buildings with golden roofs. In each square, Jim gave us some time to wander around, then we meet up again. Be in the know: Once the amazing beauty of this place wears off just a little, make sure to check out the side rooms and areas. We found rooms with displays and museums along the way that showed us more of life in the palace. Luckily, my friends decided to join me in the afternoon for the optional tour. For $55 we got to ride pedicabs through Old Beijing, have lunch at a local residence, visit a garden, and then a special dinner of Peking Duck. The pedicab drivers had a good time racing and knocking into each other, but keeping it safe to get us to our lunch destination. The lunch at the local residence was wonderful. A family-style meal with plenty of rice, beer, and some wonderful meat dishes. We spent some time with the homeowners, listening to what it’s like to live in that part of town and perused cutouts done by the families patriarch. 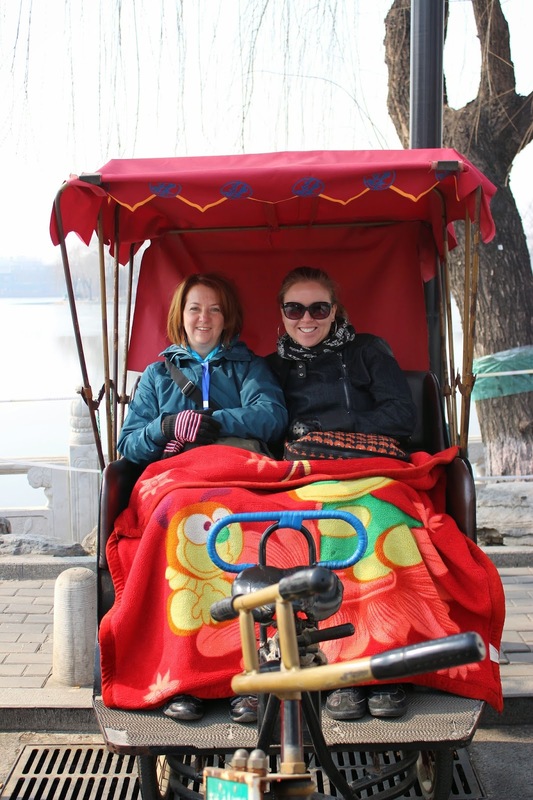 After a great meal, we hopped into the pedicabs again to a lake and then walked into Beihai Park. The park is beautiful, with some historic artwork as seen in the photo below. Close up of the Nine Dragon Screen from Beihai Park. Back at our hotel, Rebecca and I took advantage of the workout room. I figure it’s a good time because I’m about to go to what I hope will be my favorite meal. I have only ever had Peking Duck once before. I have an aunt who is Chinese and she ordered us a special menu once. It was the first and only time I really enjoyed duck. So I was excited to try Pecking Duck on this tour. I was not disappointed. The meal was fantastic. Light, paper thin noodles to wrap around the duck. Kind of like a Chinese version of a burrito. The duck was superb. Crispy and sweet outside, delicate and moist on the inside. The vegetables and the thin noodles were perfect accompaniments. We have another early start tomorrow, it will be a rush to get through the next few days. 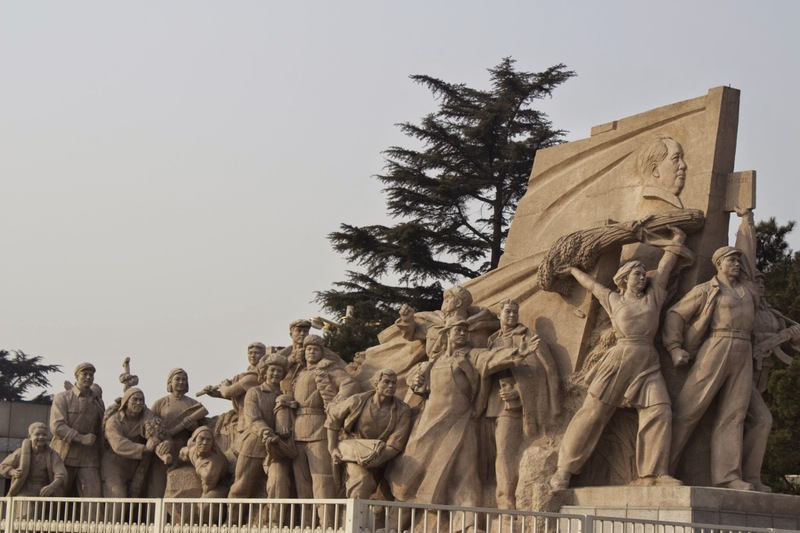 Tomorrow will be the Great Wall of China and the Sacred Way of Ming Tombs, as well as some other stops.